The circular economy is a philosophy that is clearly beneficial to the environment. The question is what economic result is offered by this philosophy and how to quantify that result. The aim of this paper is to put together a model of the circular economy to determine the economic result of enterprises’ involvement in the circular economy. The model has been created and subsequently applied in business practice. The model was applied on the basis of primary research aimed at determining the level of enterprises’ involvement in renovation, reuse and recycling, and hard data were acquired from the Czech Statistical Office. The model enabled the quantification of the impact of enterprises’ involvement in the circular economy. The results exactly proved that enterprises profit through their involvement in the circular economy. A loss was demonstrated in just one sector and one phase of processing discarded waste. The results demonstrate a positive economic impact in the long term. The main obstacle in the short term is the initial investment in technology and processes for processing discarded material. The main scientific benefit of the paper is the creation of a functional model of the circular economy, which was applied in practice. The results of this work clearly prove the claim that the circular economy has a positive impact on the environment, and also on enterprises’ economic prosperity and thus the aggregate economy of the state. CE. (2017). European circular economy stakeholder platform. http://ec.europa.eu/environment/circular-economy/index_en.htm. Accessed September 1, 2017. Cheysova, M. P. (1984). Perfection of statistics of industrial wastes. http://www.dissercat.com/content/sovershenstvovanie-statistiki-promyshlennykh-otkhodov-na-primerepredriyatii-khabarovskogo-k. Accessed January 11, 2018. CSO. (2017). Český statistický úřad. https://www.czso.cz. Accessed December 11, 2017. CSO. (2018). Český statistický úřad. https://www.czso.cz. Accessed March 5, 2019. Environment. (2014). Higher recycling targets to drive transition to a circular economy with new jobs and sustainable growth. http://europa.eu/rapid/press-release_IP-14-763_en.htm. Accessed October 20, 2017. ICE. (2019). Circular economy. https://incien.org/. Accessed September 12, 2018. ISO BS 8001. (2019). https://www.iso.org/home.html. Accessed 20 Jan 2019. Ivanova, M. D. (2005). Accounting of costs for environmental activities. http://www.dissercat.com/content/bukhgalterskiiuchet-zatrat-na-prirodookhrannuyu-deyatelnost. Accessed 29 Jan 2019. Jachnik, R. (2006). Assessing the practical relevancy of environmental cost accounting for industrial waste accounting, process efficiency, and cleaner production. https://lup.lub.lu.se/luur/download?func=downloadFile&recordOId=1329403&fileOId=1329404. Accessed March 2, 2019. Lapytova, O. V. (2004). 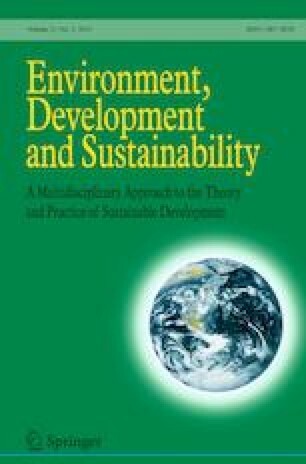 Economic and ecological analysis of the enterprise: Theory, methodology, methodology and organization. http://www.dissercat.com/content/ekonomiko-ekologicheskii-analiz-deyatelnosti-predpriyatiya-teoriya-metodo logiya-metodika-i-o. Accessed September 21, 2018. Mc Arthur, E. (2015). Growth within: A circular economy vision for a competitive Europe. https://www.ellenmacarthurfoundation.org/publications/growth-within-a-circular-economy-vision-for-acompetitive-europe. Accessed August 1, 2017. Mc Arthur, E. (2016). Circular economy. www.ellenmacarthurfoundation.org/circular-economy. Accessed December 1, 2017. Mc Kinsey et al. (2014). Moving toward a circular economy. www.mckinsey.com/business-functions/sustainability-and-resource-productivity/our-insights/moving-toward-a-circular-economy. Accessed August 1, 2016. Mediaguru. (2012). Czech companies invest in sustainable development. https://www.mediaguru.cz/clanky/2012/03/ceske-firmy-investuji-do-udrzitelneho-rozvoje/. Accessed September 21, 2017. Morgan, J., & Mitchell, P. (2015). Employment and the circular economy, job creation in a more resource efficient Britain. www.green-alliance.org.uk/resources/Employmentandthecirculareconomy.pdf. Accessed January 19, 2016. Nasakina, L. A. (1999). Features of accounting of costs for environmental protection activities at chemical industry enterprises. http://www.dissercat.com/content/osobennosti-bukhgalterskogo-ucheta-zatrat-na-prirodookhrannuyu-deyatelnost-napredpriyatiyak. Accessed January 19, 2019. Rais, J., et al. (2016). Efektivita českého systému třídění odpadu v kontextu Evropské unie. http://eceta.cz/wp-content/uploads/2016/04/Studie-CETA-042016.pdf. Accessed November 20, 2017. Thuermer, K. (2018). Automakers enter the circular ekonomy. http://www.areadevelopment.com/sustainable-development/q3-2018-auto-aero-site-guide/automakers-enter-the-circular-economy.shtml. Accessed November 2, 2018. Xiyuan, W., & Lei, Q. (2011). Development of evaluation system for green product design based on energy consumption indicators. In International conference ATDM. http://ieeexplore.ieee.org/document/6202572/?Reload=true. Accessed November 22, 2017.